While working for Motorola, he created the first personal cell phone, citing Captain Kirk's communicator on Star Trek as an inspiration. His first call on the 28-oz. 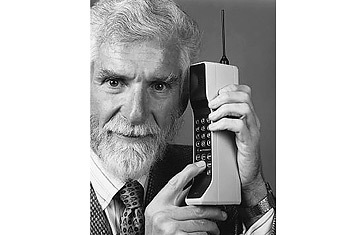 (800 g) cordless cell phone  dubbed "the brick"  was to his rival at Bell Labs Research.